www.flowers-armenia.com Rated 5 out of 4 by 115 reviewes. 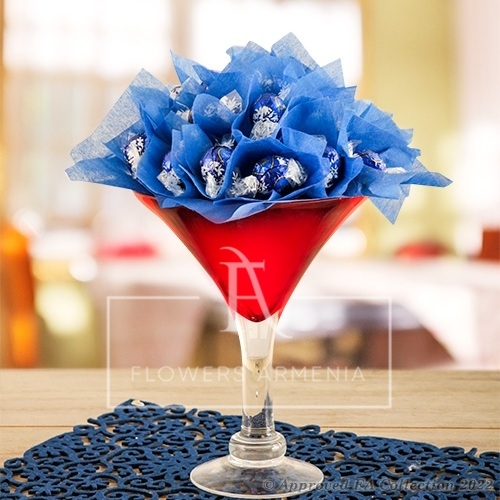 Exquisite chocolate arrangement in a fine Martini glass. A gift, which will long be remembered. Arrangement consists of 25 quality chocolates.